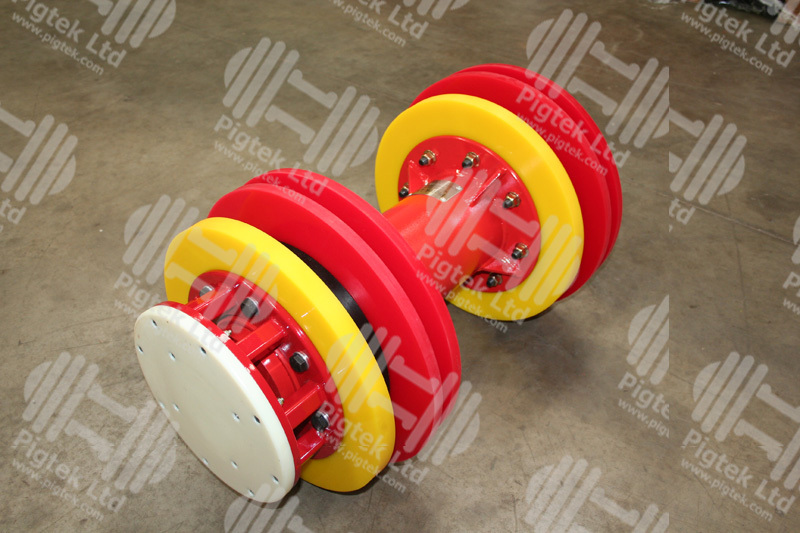 The Pigtek Advanced Bypass Pig, or Pressure By-pass Pig, is a bespoke pig design that can be configured to operate as a Cup Pig, being fitted with pig cups or a Bi-Di Pig being fitted with seal discs and guide discs. This specialist pig has one or more bypass valves fitted internally to the pig body, which are set to open at a pre-determined pressure. 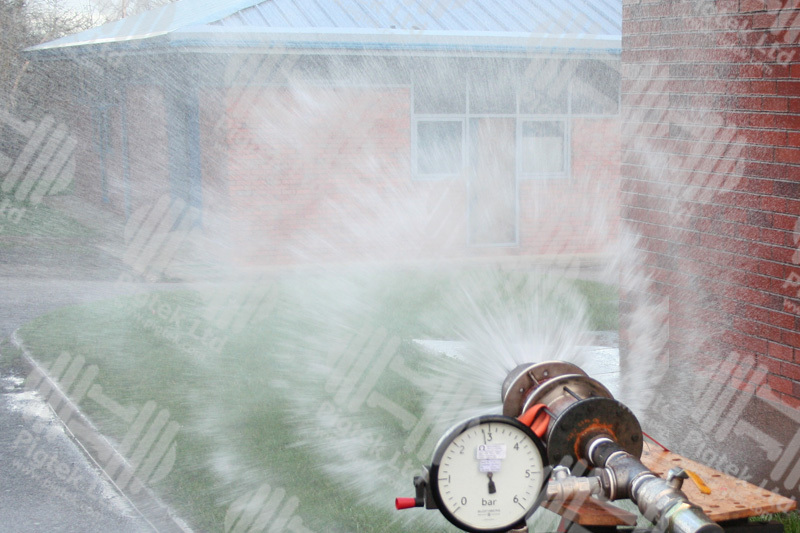 The Advanced Bypass Pig is often used in previously un-pigged pipelines or dirty pipelines where large quantities of debris may be present, such as for pigging waxy crude oil pipelines, black powder in gas pipelines or water pipeline cleaning. 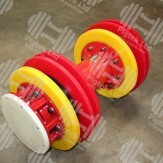 A gauge plate can also be fitted to allow the Pig to perform pipeline proving and gauging. The Advanced Bypass Pig performs like any other pipeline cleaning pig until such time that an accumulation of debris, such as wax, sludge or black powder builds up in the pipeline in front of the pig. Alternatively the pig might encounter a pipeline restriction. Either way, this could cause the Pressure Bypass Pig to stop, in which case the differential pressure across the pig will increase until the pressure by-pass valves open. 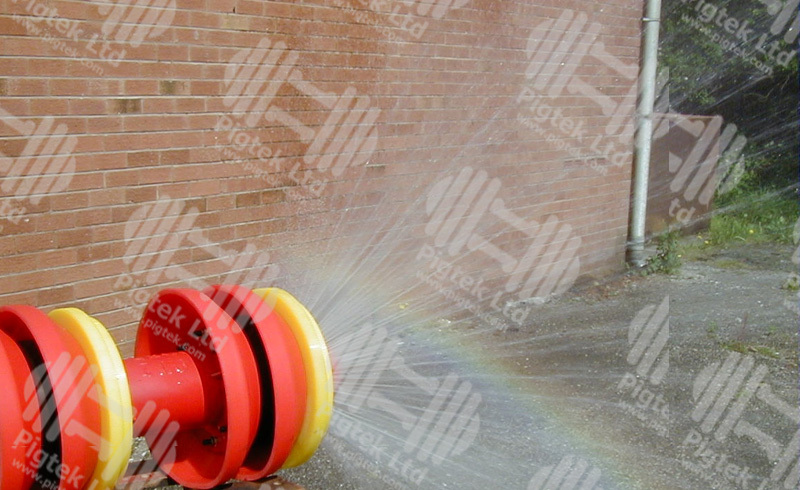 With product bypassing through the pig body, the valves cause the product to jet through the front of the pig and a 360 degree by-pass jetting action will be achieved ahead of the stationary pig to help flush any debris away. 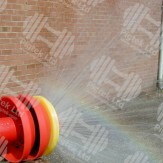 Once the differential pressure lowers, the by-pass valves will close and the pig can continue to traverse the pipeline. If the Pig has encountered a restriction that prevents it from travelling any further, product will continue to flow and by-pass through the pig preventing a complete pipeline blockage. If other types of pipeline scrapers or pipeline cleaning pigs were used, they might stop and result in a pig lodged or a stuck pipeline pig situation. 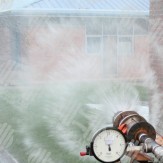 In addition, it may also result in a blocked pipeline – and a blocked pipe means no flow. Inevitably, this can often lead to difficulties in how to locate a stuck pig and how to remove a stuck pig. However, a further benefit of the Advanced Bypass Pig is that it can also be used for locating a lost pipeline pig and for removing a stuck pig from pipelines. Check out other Pigtek services here. By fitting a pipeline pig transmitter, or pipeline pig pinger, to the Bypass Pig, pig tracking and pig location can be performed. 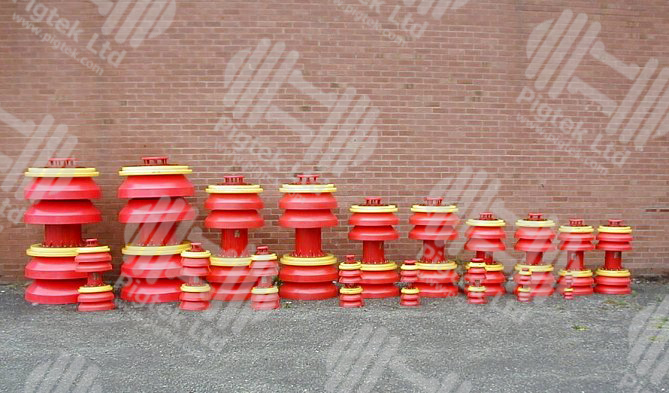 The advantage of this type of pig over other cleaning pigs or pipeline scraper tools is that in the event that the stuck pig cannot be removed, the Advanced By-Pass Pig will allow product to flow through the by-pass valves until further remedial action can be taken. 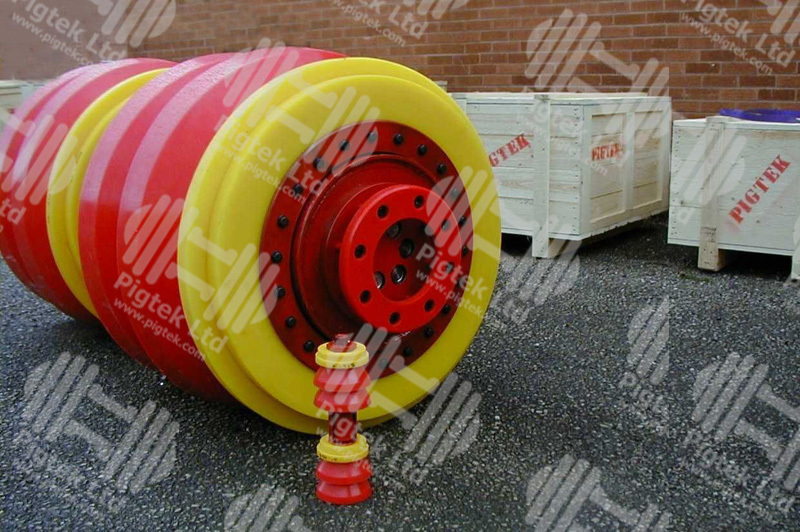 Thus, using the Pigtek Advanced By-Pass Pig greatly reduces the chances of a complete pipeline blockage. 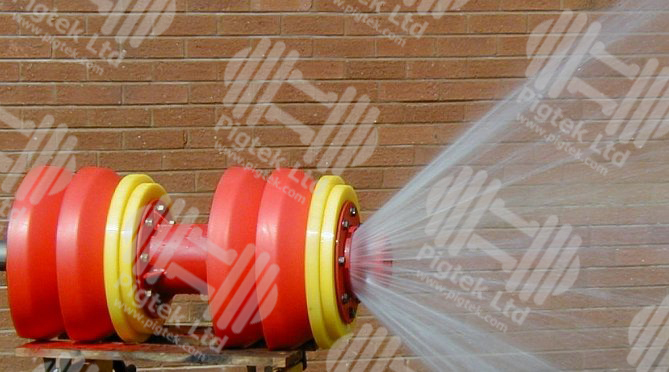 Pigtek Pressure Bypass Pigs are available for pipelines in sizes from 4in. through to 56in. 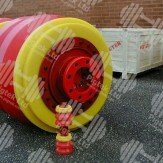 For very large diameter pipeline pigs, please contact us to discuss your operational pigging requirements. To find out more about the advanced bypass pig, contact us today.